Roly’s is a place pretty close to my heart. 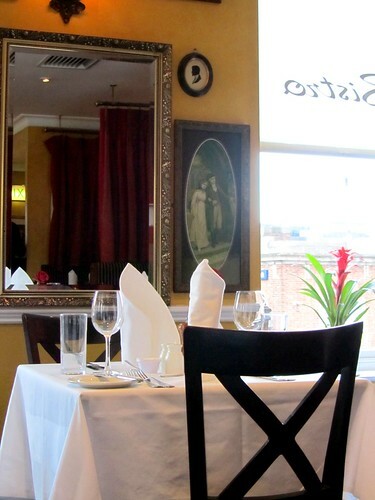 Situated in Ballsbridge, it was here where many a celebration have take place, from first day of college to birthday parties to no-excuse-needed “just because” meals with family and friends. However, since the departure of the Chef Patron Colin O’Daly, I haven’t been to the restaurant. With my imminent leaving on the card, why not a going-away meal there? I was mildly surprised at the changes the place have undergone. There’s now a more informal cafe on the ground floor, with table service as well takeaway option of ready-made meals. The space upstairs remains reserved for restaurant service, with menu that hasn’t changed too much over time. The prices also remained of good value.